ILM7 and EMCC accredited, Alina’s coaching style is energising and inspiring, listening to and reinforcing the very best in her clients. She uses challenge in her approach, whilst helping her clients to adapt to change by developing practical solutions. 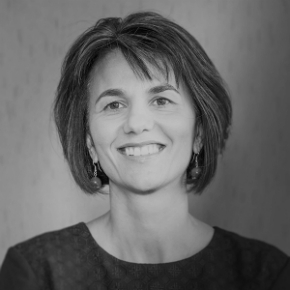 Prior to training as an executive coach, Alina held senior roles in Financial Services, with over 20 years’ experience in building businesses, developing high performing teams and individuals and striving to make a genuine difference in people’s lives. She worked for 15 years as an Investment Banker with Rothschild, latterly as a MD and Head of Trading and Execution, and prior to that qualified as a Chartered Accountant with PwC. Passionate about achieving business success through diversity, Alina was a founding member of the Rothschild Diversity Committee and the Rothschild Women’s Network Speaker Series.